Lakehead basketball returns to the Thunderdome this weekend, as the Brock Badgers come to town for the final OUA games of the regular season. On the women’s side, Lakehead sits comfortably in the OUA West second spot, but two wins could propel them into first. Brock is locked into the fourth spot. The two squads swept their previous weekend games, but the Thunderwolves are on a six-game win streak. Brock is currently 11-11, with a point differential of +13 in those 22 games. Lakehead is 18-4 with a differential of 273, with a per-game differential of +12.4 nearly matching Brock’s season total. The Badgers are currently first in the OUA in turnovers per game, averaging 14. 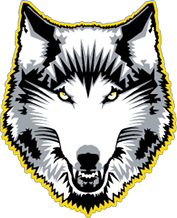 Lakehead is the provincial best in steals, at 12.9, what has been a big part of the Thunderwolves’ success this season. Lakehead will look for big games from Leashja Grant, currently leading the province in points and rebounds per game with 20.8 and 12.2, and from Karissa Kajorinne, who averages 12.5 points per game of her own. Games begin at 6pm both Friday, February 15th, and Saturday, February 16th, with men’s games following. Playoff Picture: Lakehead’s women’s squad cannot fall lower than second in the OUA West, and two Lakehead wins combined with two McMaster losses this weekend would see the Thunderwolves move into first place. If Lakehead remains in second, they will face the winner of Brock and either Guelph or Laurier at home on Saturday, February 23rd. The Thunderwolves went undefeated against Guelph and Laurier in regular season play this year. On the men’s side, the Thunderwolves men’s basketball team is set to host one of the top teams in the country in the Brock. The Badgers are currently 15-7, and 8-2 in their last ten games. Lakehead returns home hot, however, and no stranger to upsets. The 9-13 Thunderwolves are 7-3 in their last ten games, including wins against nationally top-ten ranked Western and Laurier. The Badgers currently have the second-highest scoring offense in the province at 88.5 points per game. Simpson and Ryan average 21.3 and 18.1 points per game, respectively. Brock is also within the provincial top three in rebounds, assists, and steals. The Thunderwolves will look to Isaiah Traylor’s hot hand, as the guard has scored over 20 points in five of his last seven games, including 30 against nationally-ranked Laurier. His low in that span is 17 points. Lakehead will need a collective effort, including important contributions from Nick Burke and Michael Poirier, senior leaders who have helped steady the squad in the second half of the season. Games begin at 8pm both Friday, February 15th, and Saturday, February 16th, following the women’s matchups at 6pm. Playoff Picture: Lakehead’s men’s squad cannot fall out of the OUA West playoff spots, and the Thunderwolves could rise as high as fourth with two wins, two McMaster losses, and one Guelph loss. Guelph and McMaster currently sit tied one win ahead of the 9-13 Thunderwolves with matching 10-12 records. Lakehead owns the tiebreaker over Guelph, and McMaster holds the tiebreaker over the Thunderwolves and Guelph, though the Gryphons and Marauders face off on Friday night in Hamilton. Special note: The Thunderwolves family will be celebrating its graduating seniors this weekend, so make sure to come down to the Thunderdome Friday, Saturday, and Sunday to express your appreciation and to cheer them on once more.